Key difference: A software developer is a person concerned with facets of the software development process. Their job includes designing, implementing, and testing the software. A software engineer, on the other hand, is a practitioner of software engineering. They apply the principles of engineering to the design, development, maintaining, testing, and evaluation of the software and systems that make computers or anything containing software work. Many claim that the titles of software engineer and software developer are the same; its just some companies prefer to call their employees software engineers, while others use software developers. However, this is not entirely the case. The jobs of software engineers and software developers are similar, but they do have small differences as well. 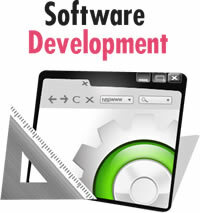 A software developer is a person concerned with facets of the software development process. Their job includes designing, implementing, and testing the software. A software engineer, on the other hand, is a practitioner of software engineering. They apply the principles of engineering to the design, development, maintaining, testing, and evaluation of the software and systems that make computers or anything containing software work. Hence it can be claimed that the job of a software engineer has a bigger scope. Authoring of documentation needed by users and implementation partners etc. A software engineer, on the other hand, is someone who can apply the principles of engineering, computer science and mathematical principles to the design and development of the software. However, before the mid-1960s, the term software engineer did not exist. They were often clubbed with computer programmers or software developers. Even now, the definition and job description of a software engineer is under debate. The main argument against the title is that a software engineer is not really a real engineer, as he can’t be grouped with civil, electrical, electronics, mechanical, and other engineering professions. The argument for the title claims that as the engineers’ task is the building of software from scratch, it seemed logical to dub them as software engineers. After all, that is what engineers do: design, and build. I think they are practically the same. Both consist of design and implementation. CS degrees tend to cover software engineering as well. One adequately trained person could do both jobs (of course not at the same time). i started studying software engineering in china for almost 2 years now, but just 1week ago the school decided to change the name of the major to software development. ok now is it ok to accept such if the certificate of my degree will not have software engineering written on it ?